Caffi Castell opened in 2015, along with the new visitor centre for the castle and is managed by Llew Glas Deli, which sits just along the Main Street from the castle itself. Llew Glas are known for their delicious bakes and amazing scones and the gorgeous little coffee shop is always busy, so it can be very hard to find a seat during the main tourist season. With the opening of a second location in the town, it's now much easier to find yourself a cosy spot off season and sit back and enjoy the best views in Harlech. 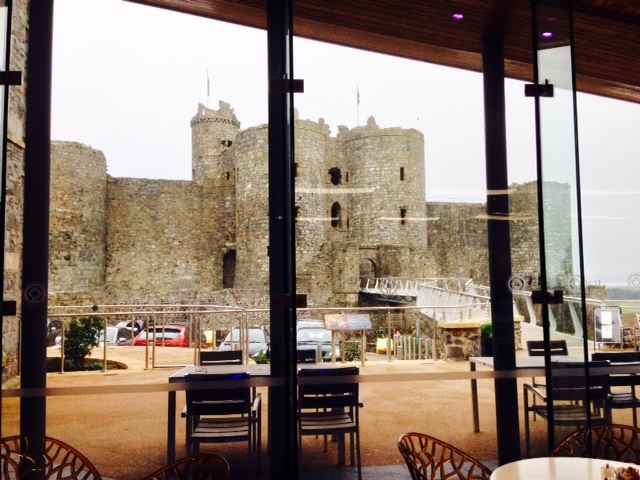 The new cafe boasts floor to ceiling windows and looks directly on to the castle bridge and entrance. To the right and left, you can see the Cambrian Coast and the rolling hills of North Wales. It's one of my favourite places to be on a chilly Sunday morning. You can sit in the warmth of the inside seating or grab one of their woolly blankets and take yourself out on the deck to grab your caffeine fix. Caffi Castell is known for its use of local, Welsh produce and has a varied, seasonal menu. At this time of year (October) you can find hearty stews, Welsh rarebit (obviously) as well as a range of lighter options, such as sandwiches. 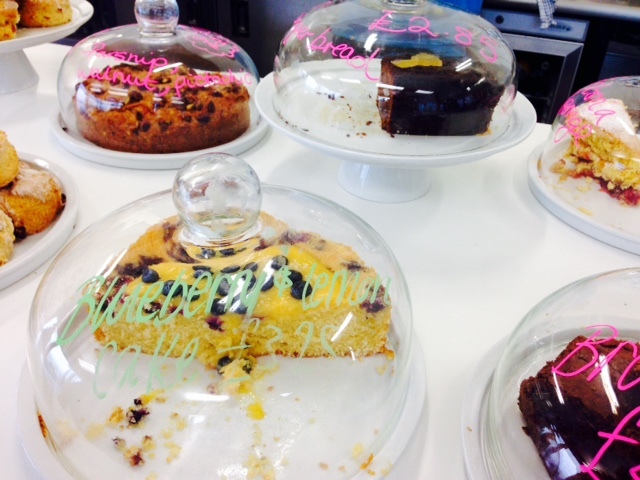 The ladies at the Caffi are also famous for their cakes, which are amazing. I don't even like cake, but I always make my husband have a piece so that I can steal some frosting. I'm quite mean like that. 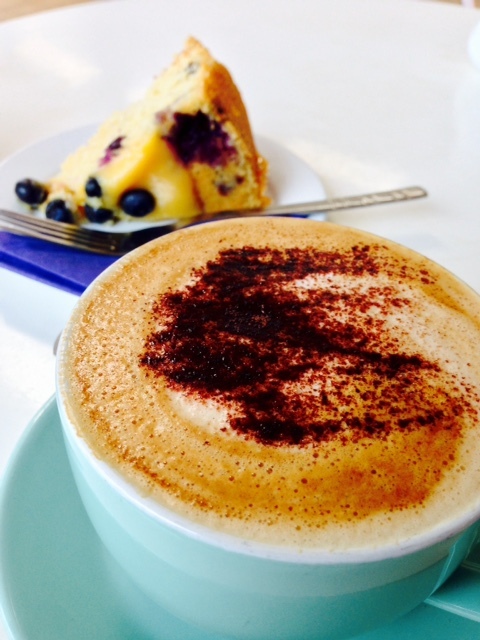 On this visit, I convinced* my husband to go for a slice of blueberry lemon cake, which looked like it would give him a sugar rush big enough to last into the following week, and we ordered our usual pot of tea and cappuccino. The cafe is one of those places where you can go once and it feels like home. 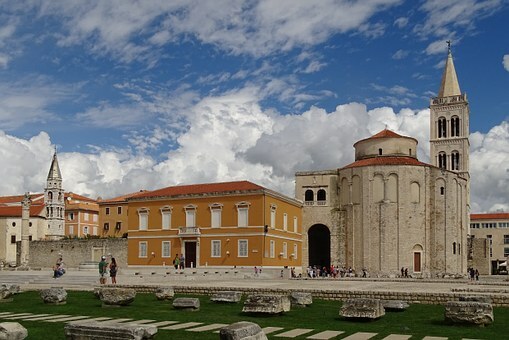 The staff is fantastically friendly and seem to know all the regulars by name. Even at the end of October and after the main visitor season has been and gone, CC still manages to be busy with a mixture of locals and tourists who are either visiting the castle, or just doing what we do and brightening up a dull Sunday morning, getting ready for the week ahead. As well as operating as a cafe year round, Caffi Castell opened up a tapas restaurant in 2016, which operates from Thursday - Saturday nights. It offers up a fantastic range of classic Spanish dishes with a Welsh twist and the view of the Harlech Castle are just as stunning when lit up against the Autumn darkness.